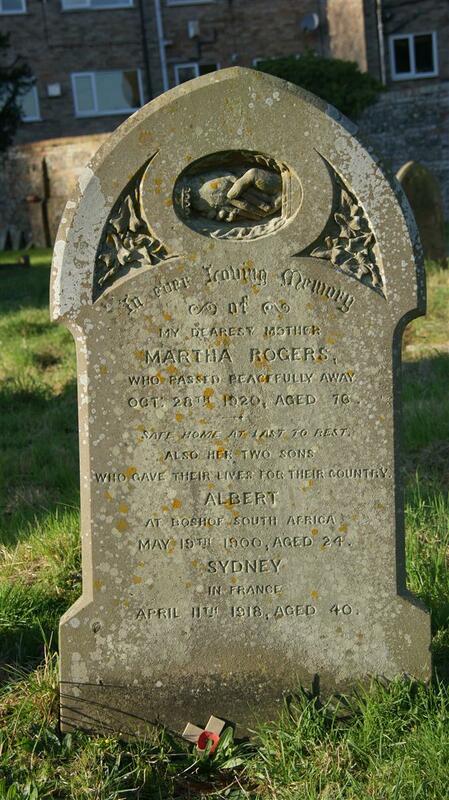 In ever loving memory /of / my dearest mother /Martha Rogers, / who passed away / Oct 28th 1920, aged 76. / Safe home at last to rest. / also her two sons / who gave their lives for their country. / Albert / at Boshof, South Africa / May 19th 1900, aged 24. / Sydney / in France / April 11th 1918, aged 40.